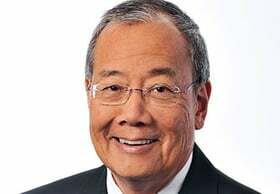 Dr. Richard Shinto is CEO of InnovaCare Health, Fort Lee, N.J., and MMM Healthcare, San Juan, Puerto, Rico. He also serves on the board of America's Health Insurance Plans. All natural disasters create singular challenges for the communities they impact. But there is one constant: the members of society who stay behind. When the storm is bearing down, civilians board up their homes and evacuate. Those who remain include the first responders, firefighters, police officers and healthcare providers. The flooding in North Carolina this past week from Hurricane Florence sparked a different response strategy than Hurricane Maria did in Puerto Rico in September 2017. But as the recovery work begins following yet another devastating storm, I'm reminded again of the inherent vitality of our profession. Puerto Rico's recovery from Maria is ongoing. In the year since that storm, however, one thing has become clear: Organizations that give incentives for value-based care principles have a distinct advantage when it comes to preparing for, and responding to, a crisis. That's because, beyond the moral obligation to serve those who are struggling, there's a strong business case for providers of value-based care to serve the community before, during and after a natural disaster. After Maria, Puerto Rico's electrical grid was shut down, roads were impassable and many residents lost access to fuel and clean water. But thanks to a well-rehearsed emergency response plan, we were able to keep providers, clinics and managed-care plans running despite destruction worse than we could have ever imagined. Technology: To provide high-quality care, employees and providers must be able to communicate with each other and with patients. Before Maria struck, we knew we needed to secure our physician portals and electronic health record. To do that, we built a command center off the island, which meant our systems never went down during the storm. Still, cell towers weren't functional and internet service crashed. In anticipation, we invested in satellite phones for leaders and certain employees. During the storm, our disaster response team cascaded information throughout the system, just as they'd been trained to do, keeping our employees accurately informed amid the chaos. Capital: Our business continuity plan depended on keeping physicians up and running, no matter what. That required allocating money, before the hurricane, to pay our providers once it hit so they could support themselves while managing patient care. We also kept cash available. Having it on hand proved critical to pay for unforeseen expenses—and to help our employees. At one point, members of our crisis response team became traveling ATMs for our people in the field. Culture: Preparation is critical, but so is maintaining a culture that rewards quick thinking. Creative problem-solving is one of the traits we cultivate in leaders. It's how we've been able to constantly improve our ability to provide high-quality care to a large dual-eligible population on the island, often with limited resources. After the storm, our team's resourcefulness paid off. For example, we needed to assess hurricane damage at our clinics and physicians' offices but couldn't get gas for cars. An employee suggested using the airport's rental cars, which stay stocked with fuel. Thanks to that employee's ingenuity, we could assess our facilities and get them operational within days of the storm. Of course, our most important resource at any time is our staff. And we couldn't ask them to serve patients when they didn't have food or clean water themselves. To help them, we built a temporary grocery store to distribute donated food to our workers. We also found that employees were worried about coming to work with poor hygiene, due to a lack of clean water, so we established barber shops and staffed laundromats to help them maintain some normalcy amid the crisis. There's a clear business case for everything we did—even the barber shops. It was also the right thing to do for the people who took on the responsibility of caring for their community members even in their own darkest hours. In the best of times, we need to engage our employees so they can provide exemplary patient care. We need to protect the technology and provide the financial support that empowers our physicians to practice value-based principles. And, every day, we need to support high-quality care that keeps patients healthy and out of the hospital. Patient needs don't stop because of a natural disaster, so neither can our ability to meet them. Dr. Richard Shinto is CEO of InnovaCare Health, Fort Lee, N.J., and MMM Healthcare, San Juan, Puerto Rico. He also serves on the board of America's Health Insurance Plans.